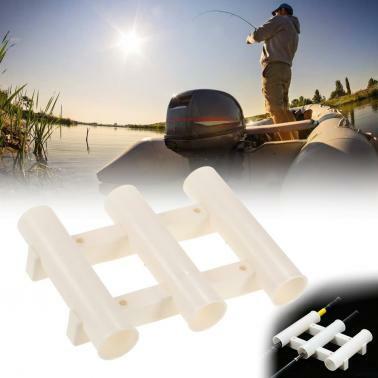 This is a fishing gear bracket made of plastic, cost-effective, simple and easy to carry. 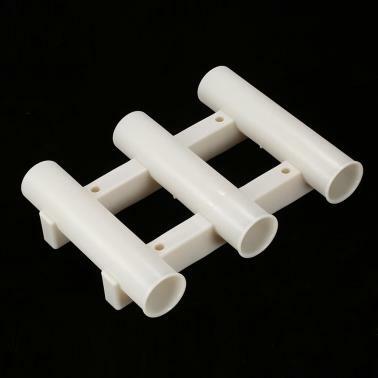 Plastic material very lightweight and easy to carry. 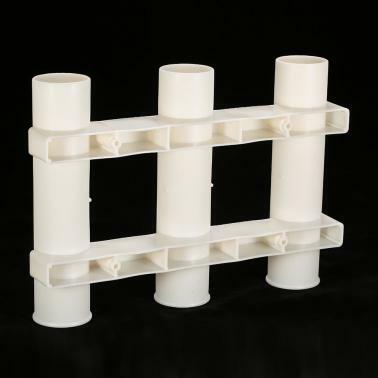 Large diameter to hold the general poles, 3 holes increase the number of rods to accommodate. Thick tube wall very strong and good toughness. 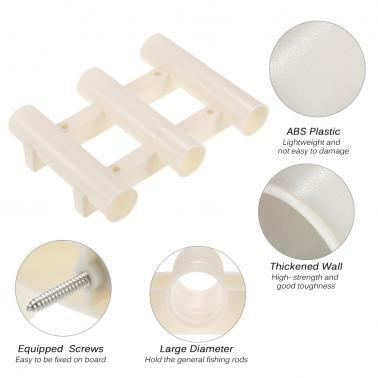 Equipped with 4 screws, easy to be fixed on board. Environment and climate do not affect the use of comfort.